In December '16 signed by BC Mega Bemax Belgrade for the remainder of the 2016-17 season. In February'18 moved to Spain, signed for the remainder of the 2017-18 season by Bilbao Basket. 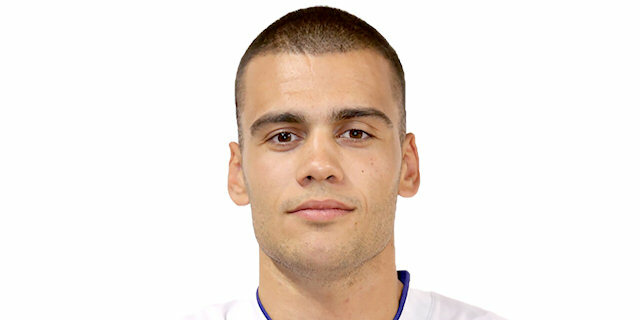 Moved to Montenegro for the 2018-19 season, signed by KK Mornar Bar. Won the 2014 and 2015 Serbian National Cup with Crvena Zvezda Belgrade. Has been member of the Serbian U-16, U-18 and U-20 National Team. Won the bronze medal at the 2014 European U-20 Championship.